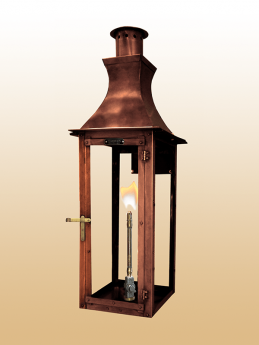 The Carriage House Flush Mount is a New England-inspired versatile light that can be used to accent side doors with shorter landscapes. 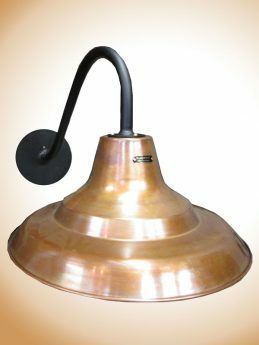 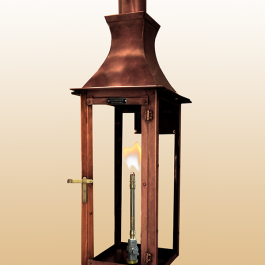 The England Style Street Light captures the essence of old London architecture with a formal design accented by durable copper top panels and finial. 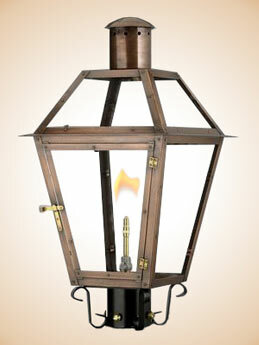 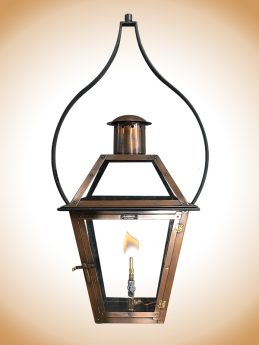 The Lakeview design captures a more modern look than the traditional French Quarter style lanterns. 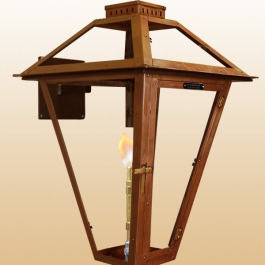 The Milan lantern features a Mediterranean influence and mounts directly to any wall or surface. 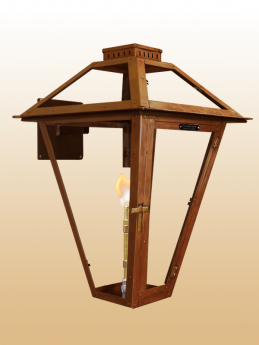 The Milan lantern features a Mediterranean influence and mounts directly to any wall or surface with a bracket. 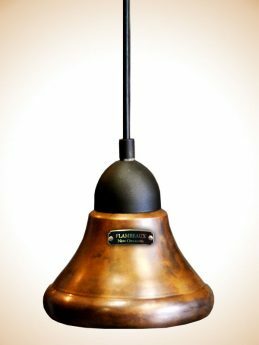 The Rampart Style features a unique copper top design inspired by the Mediterranean architecture found throughout the French Quarter. 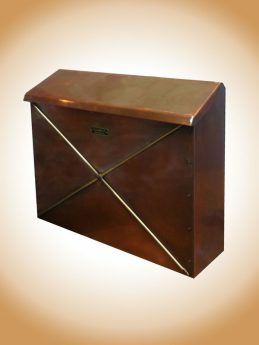 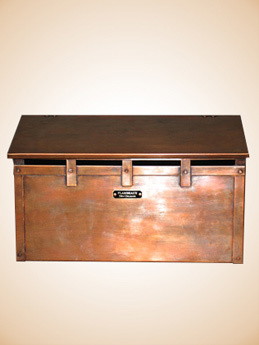 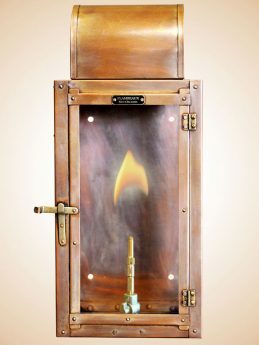 The Rampart post mount features a unique copper top design inspired found throughout the French Quarter. 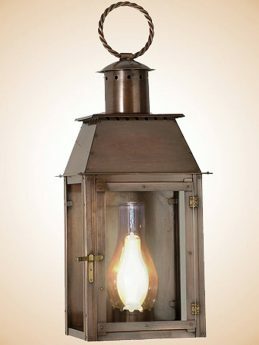 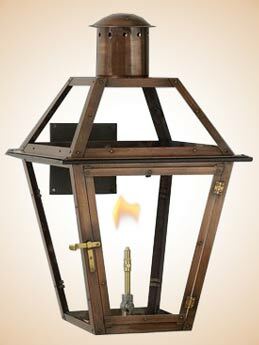 The Hanging Lakeview lantern design captures a more modern look than traditional style lanterns. 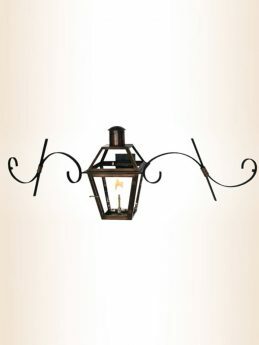 It features clean, straight lines and a tall rectangular shape that make it a perfect accent for a front door or entryway. 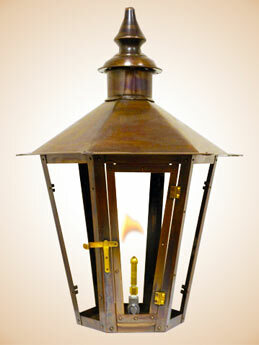 This Flambeaux lantern design has become the defining icon of the historic French Quarter. 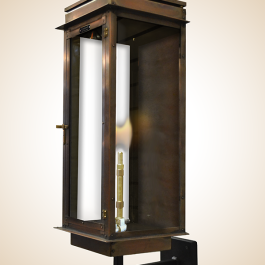 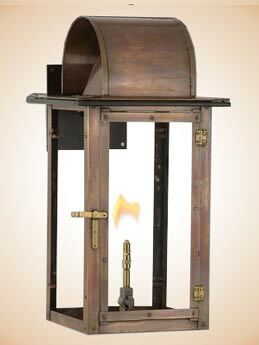 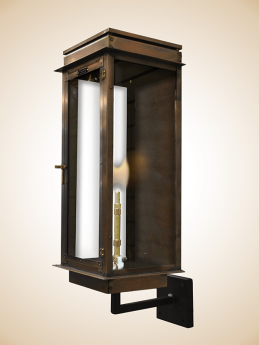 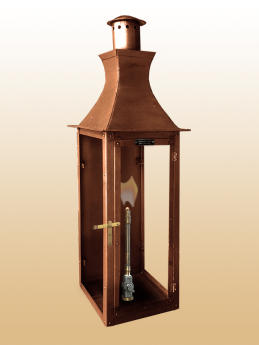 The more formal version of our Bourbon St. Lantern is finished with top and bottom finials and elegant bracket. 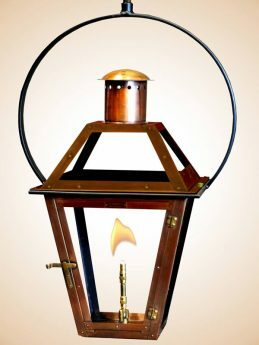 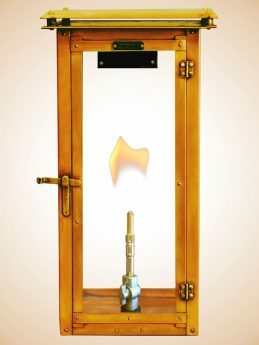 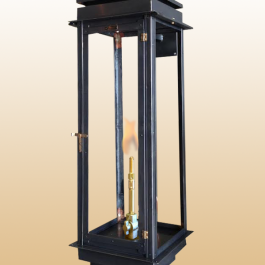 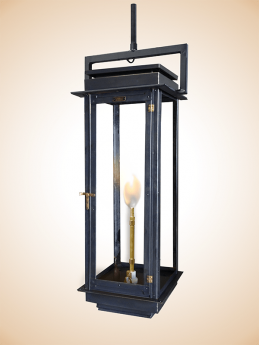 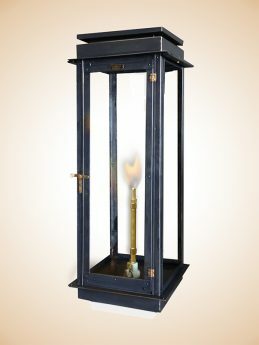 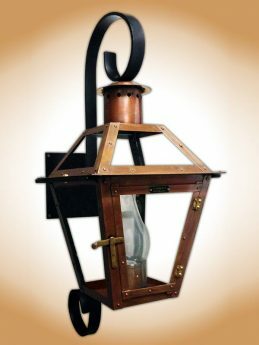 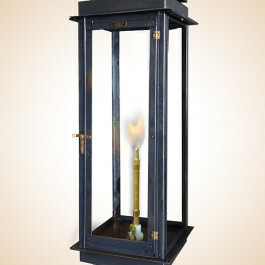 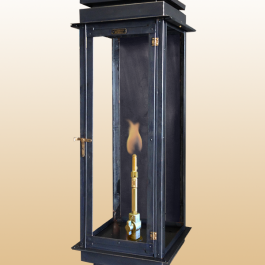 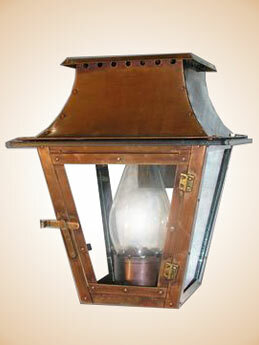 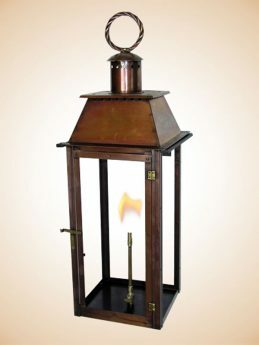 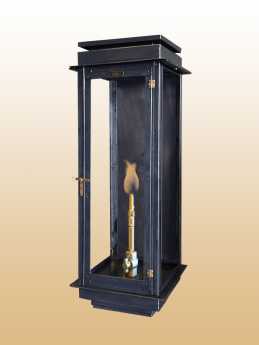 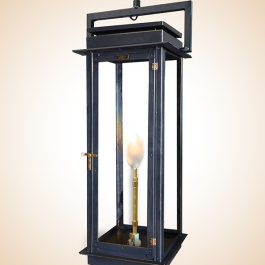 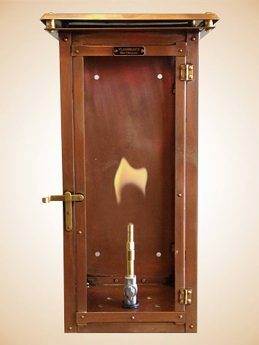 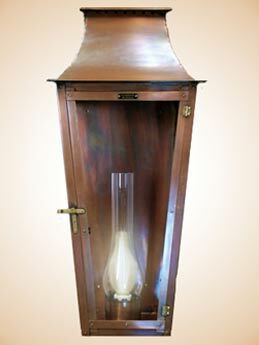 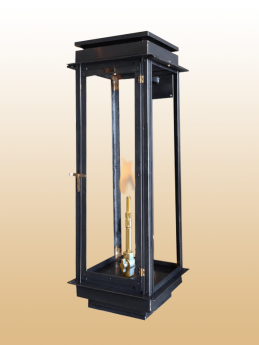 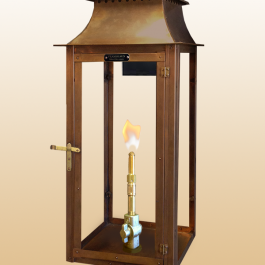 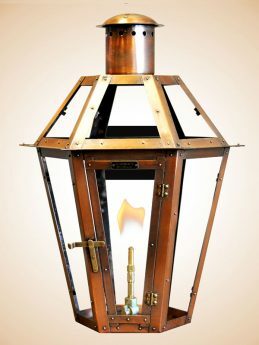 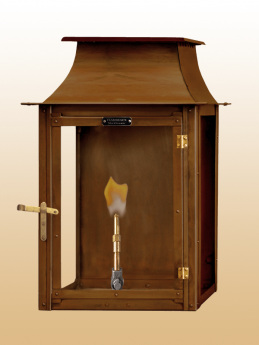 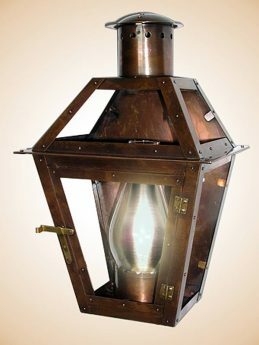 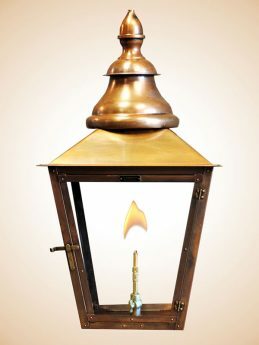 This popular Flambeaux French Style Quarter style lantern has a flat back to allow it to be mounted directly to the wall. 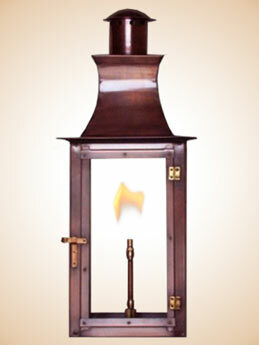 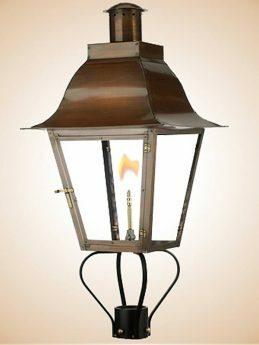 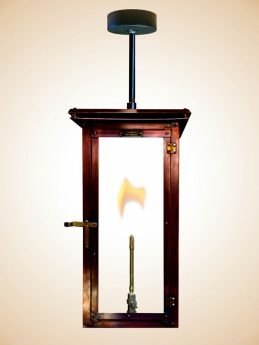 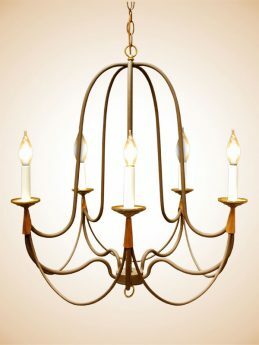 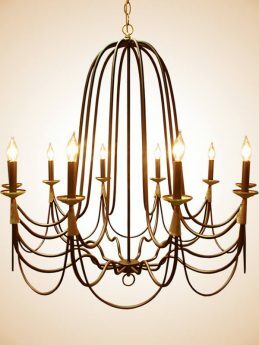 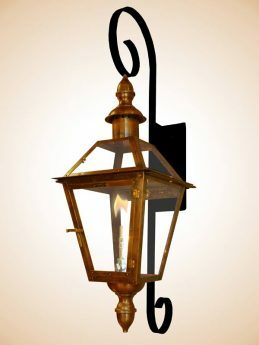 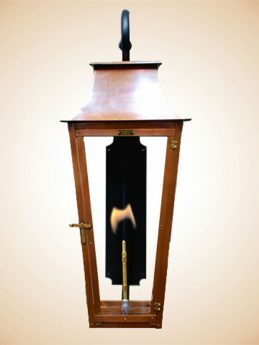 This Flambeaux French Quarter style lantern is designed to hang from a ceiling on a beautiful Spade shaped yoke bracket. 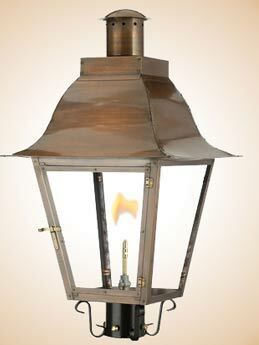 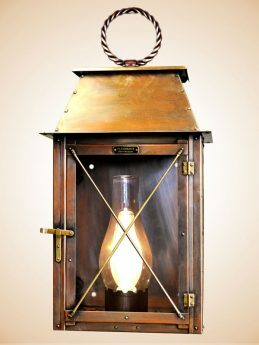 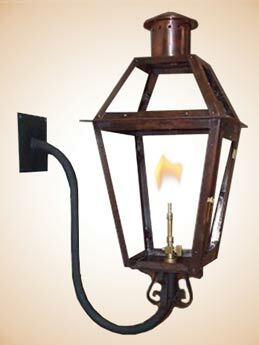 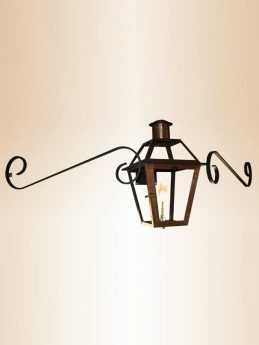 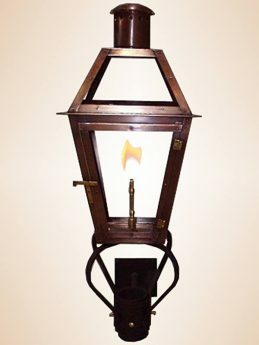 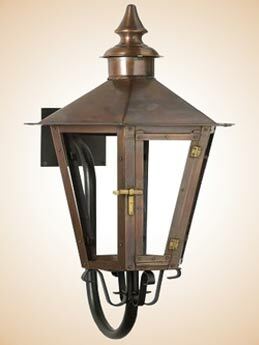 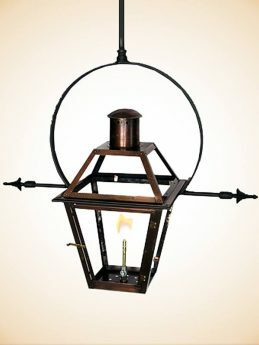 This lantern hangs from a wall mounted bracket on a beautiful hanging yoke. 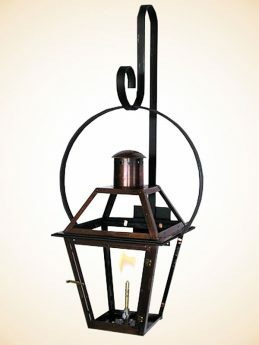 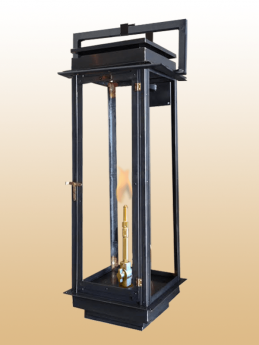 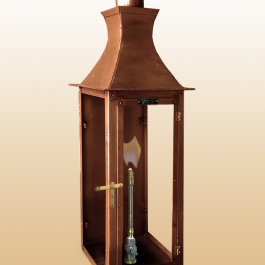 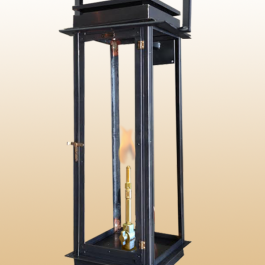 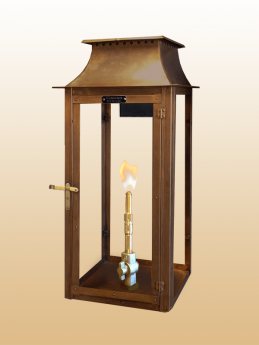 The Gooseneck Bracket provides an elegant touch to this traditional Flambeaux French Quarter lantern. 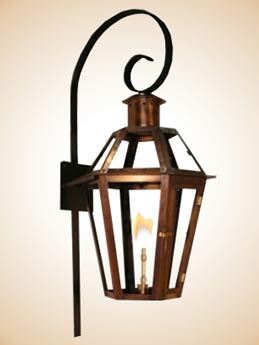 This hanging design has “ladder racks” which extend from the side of the lantern adding a touch of elegance. 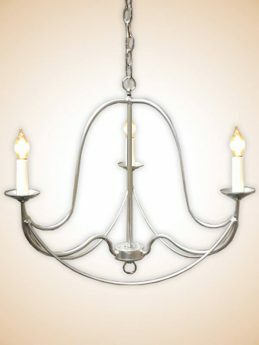 The double scroll mustache gives it an especially dressy and formal look.